We have web applications 80% figured out. Websauna takes it up to 95%. A low learning curve and friendly comprehensive documentation help novice developers to get their first application out quickly. You can focus on core business logic as Websauna provides basic website building blocks like sign up and sign in. The emphasis is on meeting business requirements with reliable delivery times, responsiveness, consistency in quality, security and high data integrity. Site operations is half the story. Websauna provides an automated deployment process and integrates with monitoring, security and other DevOps solutions. Python programming language is powerful, plays well with others and runs everywhere. Python is open source and managed by non-profit Python Foundation. 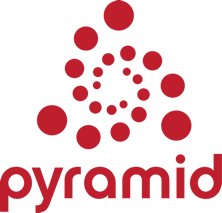 Pyramid is a very general open source web framework. As a framework, its primary job is to make it easier for a developer to create an arbitrary web application. SQLAlchemy provides a full suite of well known enterprise-level persistence patterns, designed for efficient and high-performing database access, adapted into a simple and Pythonic domain language.